Commerce will be a huge part of Facebook’s 2019 roadmap as confirmed by the company’s CEO Mark Zuckerberg. In-line with the plan, the company is said to be working on launching a fundraiser sticker in 2019 that would potentially gather credit card info. Facebook’s own Donate buttons have raised $1 billion. 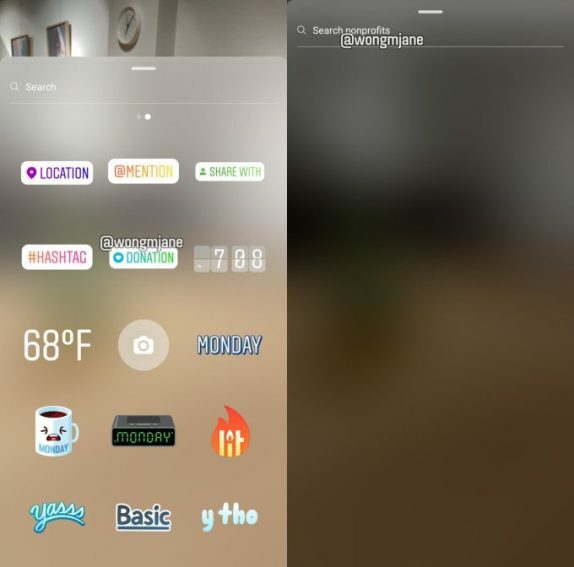 New code from Instagram’s Android app reveals that the fundraiser stickers will allow users to search for nonprofits and add a Donate button for them to your Instagram Story. After you’ve donated to something once, Instagram could offer instant checkout on stuff you want to buy using the same payment details. Though Facebook could have easily added a ‘remove credit card’ option right after a user donated, it never did. The new Instagram code in the Android app details how users will be able to search for nonprofits or browse collections of Suggested charities and ones they follow. They can then overlay a Donate button sticker on their Instagram Story that their followers can click through to contribute. Even though Facebook isn’t charging a fee on transactions, using higher commerce conversion rates convinces merchants to buy more ads on the platform. We are in the early stages and working hard to bring this experience to our community. Instagram is all about bringing you closer to the people and things you love, and a big part of that is showing support for and bringing awareness to meaningful communities and causes. Later this year, people will be able to raise money and help support nonprofits that are important to them through a donation sticker in Instagram Stories. We’re excited to bring this experience to our community and will share more updates in the coming months.